Flat glass screen printing technology is part of Cugher Glass’s DNA; the company, in fact, has been providing high technology solutions to the automotive, architectural and home appliance markets for over 40 years. 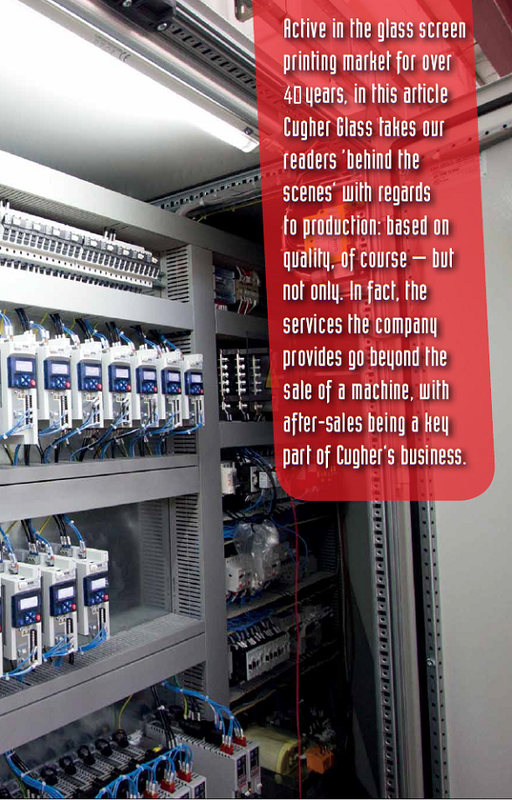 Cugher designs and manufactures standalone machines and complete printing lines, integrating technologies for automation and process control, as well as for the handling and storing of finished products, UV, IR and combined dryers, vision and quality control systems for printing and glass. Cugher machines and plants always have very high production standards: print precision, perfect epeatability, speed, and optimization of processes are all essential prerogatives of production. On-site after sales activities are a key business for many companies, especially in the automation and mechanical engineering fields, where non-stop plant operation is an essential requirement. The evelopment of technologies and the relocation of productions that distinguish the contemporary industry have, however, led to a change of route within the activities of after sales support. the machine, Cugher provides real-time software intervention by providing a very useful tool to the end user, that can be available together with the machine or line purchased. anywhere in the world the line is located, an internet connection is enough to allow Cugher Software Engineers to operate directly by remote, resolving 80 per cent of support requests. 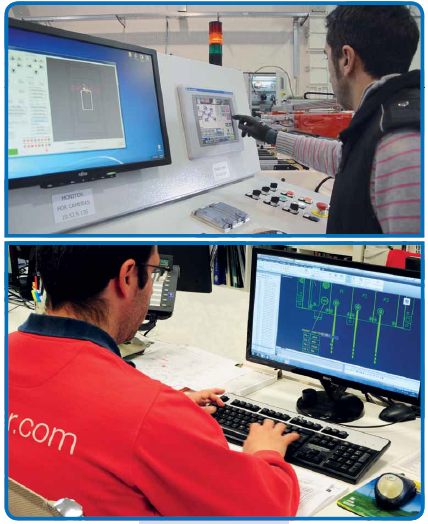 The remote connection allows Cugher engineers to intervene promptly to assist and support the customer if incorrect settings or incorrect recipe parameters or unsuitable operations are entered with consequent alarm occurrence, thus oviding an immediate problem solving and a considerable cut-off of the line downtime, safeguarding productivity. From remote, it is possible to adjust the printing parameters: speed, pressure, centering and pre-centering of glass and any other available function. In addition, the VPN access is useful for subsequent upgrading of software functions. This type of remote support via internet connection (for the operation it is necessary to connect the machine to an Ethernet port) could be perceived by the customer as a weak point to the confidentiality protection of company’s sensitive data. 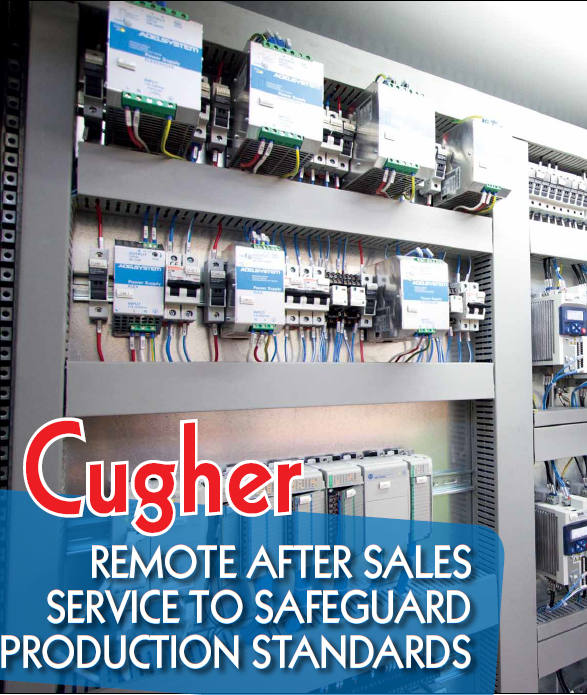 Cugher guarantees total safety of intervention procedures through an exclusive access to the PLC of which the machine is quipped. The Italian company works with multinational corporations that have strict security policies and egularly rely on Cugher’s remote software interventions. Aside from remote support, Cugher is implementing predictive aintenance software to anticipate any machine service requests through usage statistics (standard maintenance warnings such as: lubrication, IR/UV lamp replacement, filter cleaning/ change, verification of belts and carpets tensioning). The production line is prearranged with a software interface that allows access to process data. In this way the necessary data for the line maintenance and for the continuous checking of the production quality are obtained. Through a remote interface, the process and maintenance data can be made available to the company information system and used for programming and planning of production.